Aer Lingus introduce a new and innovating plating up service for business class meals and wished to train all cabin staff on the procedures. One Productions devised, shot and edited an instructional video for all cabin staff outlining the procedures and processes in the new service. The video was used by the National Airline to successfully train up staff in advance of the launch of the service. The service was launched successfully and the video received very positive feedback from the crews. 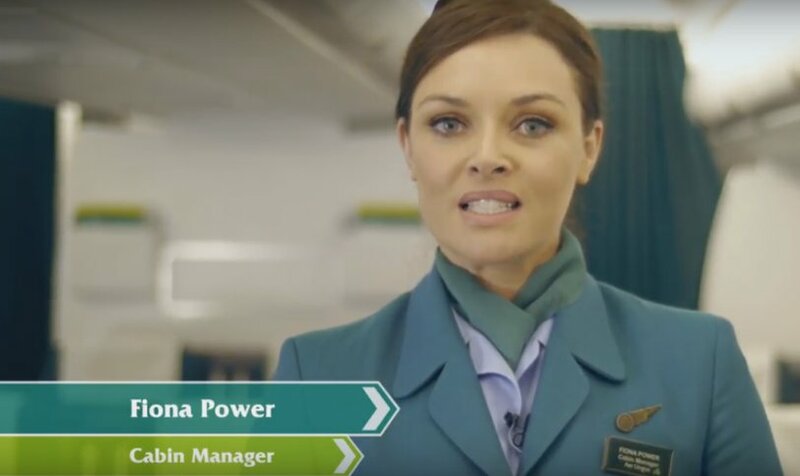 Aer Lingus - April Fool's Viral Video. Video Marketing on launch.